Swertres Hearing, Tips, and Tricks! Now you are going to learn PCSO swertres winning combination and strategies. Each day has its own swertres secret computation winning formula, and that is what I want to share you on this page. 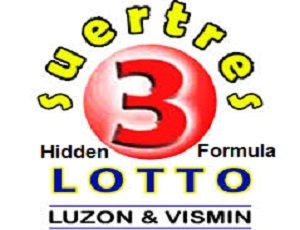 The common used for swertres winning formula is called “Pairing Guide Formula. Those who are using this tricks are more win than lose. Now, this is your turn! Just learn how to win swertres using pairing guide formula. First thing to do is to find the lucky number that possible to use for pairing. You can get it in the old results of swertres by observing it about one week. Then if you found out the positive number to use, you should use a plus-one and minus-one tricks. Plus-one for the older and minus-one for the newer. So the pairing that you should use are 468 and 178, and pair it to the number that not on both. See it below. Do you know what is the result? It is 492, which is in our pairing guide that we made. If ever you really cannot get that guide, I will share you the pairing guide that most of the the time appearing in the result. Check it out below. Well, I am already give you my secret! You can use that pairing guide using same tricks above. Just pair it to the numbers that not appearing on that pairing guide. Enjoy the guide! Is it hard or easy for you? Never mind for now, the key is to practice the tricks and in the future you will be master the PCSO swertres secret computation winning formula. I am usually using this formula and most of the time it works and I win. Sharing and comments are located below.